While most of the threads on this site are dedicated to the"latest and greatest" notebooks, there are a few threads that are dedicated to the resurrection of high quality notebooks that still have quite a bit of life left in them and still have a productive future in store for them. This thread is dedicated to second-handThinkpad X301 owners. I think that the buyer of the original X301 might be different from the current owners of the brand. WHY A SECOND-HAND THINKPAD X301. There is probably no higher quality used "business-class" notebook on the market today, selling at such a reduced price. 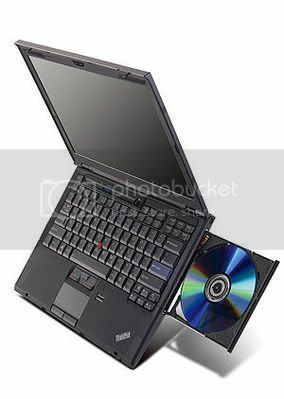 When introduced in August, 2008, the X301 with a 128GB SSD and SU9400 1.4ghz Core2Duo CPU sold retail for $2,599. Today, that same unit sells used, in excellent condition, for ~ $450. The X301 was fitted with a 300 nit WXGA+ (1440 x 900) display. With a 6 cell battery, the notebook weighed a mere 3.3 lbs. Notebook review called the X301's construction "as solid as you get in build quality." I guess it really depends on what you're looking for, but if you're looking for a durable, ultraportable with decent performance, an antiglare matt display, a keyboard that is second to none in a portable notebook that can fit easily in your briefcase ... oh, and you don't want to spend a lot of cash, take a look at the X301. I bought mine a couple of weeks ago on Ebay for $425. It has the specs listed above with a 6 cell battery and optional 3 cell OD Bay battery insert. If you're lucky and don't mind paying a bit more, you might be able to find one with a bit of its warranty left. The X301 came standard with a three year depot warranty. There are other models of the X301 that are equipped with a 64GB & 80GB SSDs or 250GB conventional drive. Some models were equipped with the SU9300,1.2ghz CPU,. These variants can usually be purchased for less money. It is not unusual to see a 64GB, 2GB RAM, SU9400 model selling for $350 or less. In its later production years, the X301 was offered with a 1.6ghz SU9600 CPU. The newer models cost a little more but are the most likely to still have some warrantyleft. I have been using an Acer 3820TG for the past 2 years. At the time, I was doing a lot of work involving aerial images and needed the graphics power. These days, I'm writing a lot more. Although I like the <st1 <st1 Acer <st1 Island keyboard, I decided that I wanted something with a better typing action and was looking for a display with higher resolution as well as a 16:10 aspect ratio. The X301 was perfect. I like the extra display real estate, as it permits me a better view of my document formatting and I can work on documentsside-by-side. <o [FONT=Times New Roman][SIZE=3][COLOR=#000000]I bought my X301 with a 6 cell battery and a 3 cell OD Bay battery. From the cycle count, it looks like the 3 cell (23.7wh) was almost never used. The 6 cell (43.8wh) , however, shows some signs of wear. It has lost approximately a third of its capacity. Even with the reduced capacity, I am getting about 5 hours of battery life with the 6 Cell and OD bay 3 cell in place. That will do for now, but I will be replacing the 6 Cell eventually. With both batteries in place, the weight goes up to 3.5lbs, still .5lb lighter than my Acer. 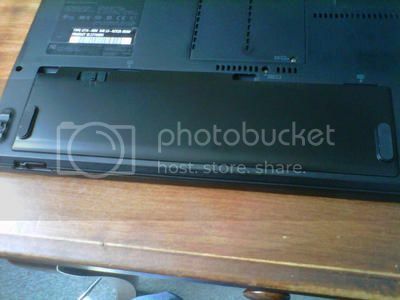 [FONT=Times New Roman][SIZE=3][COLOR=#000000]Here is the Thinkpad next to the Acer. The biggest difference is that the Acer keyboard is more spread out, but typing on the X301 is a significant improvement (and I liked the Acer). My only complaint is that the notebook I bought had been used so little that the space bar is still very tight and clicks too loudly when hit. A very minor complaint indeed. <o [FONT=Times New Roman][SIZE=3][COLOR=#000000]Where the Acer leaves the X301 in the dust is in power. My Acer is powered by a first-gen Arrandale I5-540M overclocked to 3.66ghz. It has Sata II HD capability while the X301has only Sata. And still, it boots only10 seconds slower than my Acer. Not a bad showing for a midrange ULV processor that is a generation behind my Acer's Arrandale. I find that, for most things around the office, the X301 is my notebook of choice. The only exception is any function that involves graphics. The X301's 3DMark06 score is 712 (up significantly from the X300's 475). The GMA 4500HD would be fine for a powerpoint presentation but forget anything involving 3D graphics or rendering. I still go back to my Acer (HD5650 GPU and 3DMark06 of ~ 9,800) when I occasionally have to run Matlab (loves the OC'd Arrandale) or models (love the OC'd AMD GPU). <o [SIZE=3][COLOR=#000000][FONT=Times New Roman]But, unlike the Acer, the non-glare display lets me use the X301 outside while having coffee in the morning. A series of threads by Nando4 has some interesting suggestions for increasing power and undervolting the X301. The X301 is SATA II. What ssd's do you have in the Acer and X301? The Samsung ssd Lenovo used in the X301 is pretty slow, some of the difference is down to the cpu too. Thanks for starting the thread. I am currently looking into picking up a x301 very soon. Did you ever track down the Middleton bios? I need a bios without the whitelist. Yep. He was leaving for vacation for August like the civilized europeans do. He said he'd get me a copy when he gets back. The X301 is SATA II. I have a 1.8" 128GB Samsung micro SATA SSD in my X301 ... PN 41W0518. The Hardware Maintenance Manual lists SATA drives only for the 2774HDU. I love my X301 and all, but may be parting with it now that I've decided to keep my X230 tablet. It's under warranty until 1/2013 and I just installed a Crucial 256gig SSD. PM if you are interested. Selling at cost. It's literally brand new (97 battery cycles). It's a fantastic machine, but I just don't see myself using it much. I am looking for a sleeve for my X301. Preferably one made specifically for the X301 that fits it like a glove. Leather would be nice. I'm just looking for something to protect the rubberized outside of the notebook when I put it into my briefcase. Any suggestions? Edit: I'm using an "incase" MBP 13" neoprene sleeve for now. I haven't found anything leather that I liked better. I used to have an X301. I sold it and got an X1. X1 was way faster but I couldn't live with the screen resolution. Eventually I sold it when I found an SU9600 X301. Only after I got this second X301 I now appreciate what an amazing laptop it is. I have upgraded mine to 8GB ram and an Intel 310 G3 series 160GB SSD. The battery that came with my used X301 was three years old and had lost about 25% of its capacity. At full charge it had only 3300mWH available. This translated to under three hours of battery life when away from the office. Since the whole idea of the X301 is portability, that was clearly not going to be acceptable. I did my homework and found a nearby distributer of aftermarket batteries. For $30 I purchased a 6 cell, 4200 mWH battery. My concern was that it would not fit as well as an OEM battery or that it would not charge properly. I was plesantly surprised to find that my concerns were completely unfounded. The battery fits beautifully - like the original. Battery life is up to 4 hours now. With the 3 cell OD Bay battery and some energy conservation, I am getting approximately 6-7 hours. I also have the original battery which will give me another 2.5 if I need it in an emergency. Try that with an ultrabook. I could not be more pleased with my X301. The more I use it, the more I like it. The keyboard is just starting to break in and my typing is as fluid as I have ever felt on a notebook. To be sure, the display is not the best. Viewing angles are very tight. The display could use calibration. But as a mobile device for productivity, it is incredible. I got two of these baby.... don't ever want to part with it... The only thing that lets the machine down is the LCD (as said), PATA optical drive interface, no SD card slot or expresscard slot. I have all the accessories for my X301, 6 cells, 3 cells, 3 cells drive bay battery, travel bezel. Another great thing with the X301 (as opposed to the X300) is the provision of the Displayport, which can support 2560x1440 and 2560x1600 resolution. I connect my X301 to my iMac 27 and Dell U2711. If you use the displayport to 2 x displayport splitter, you can support 2 x 1920x1200 (U2410) with the single displayport out, which is really neat. 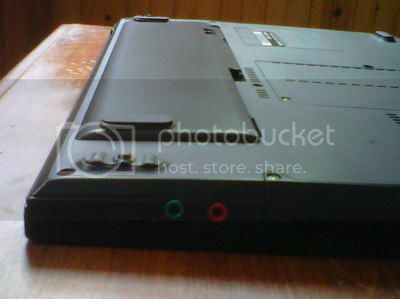 ThinkPad X301 with qHD output | Flickr - Photo Sharing! I also have a T400s, but that was quickly replaced when I found more desirability in portability from the x301. Such a great machine.